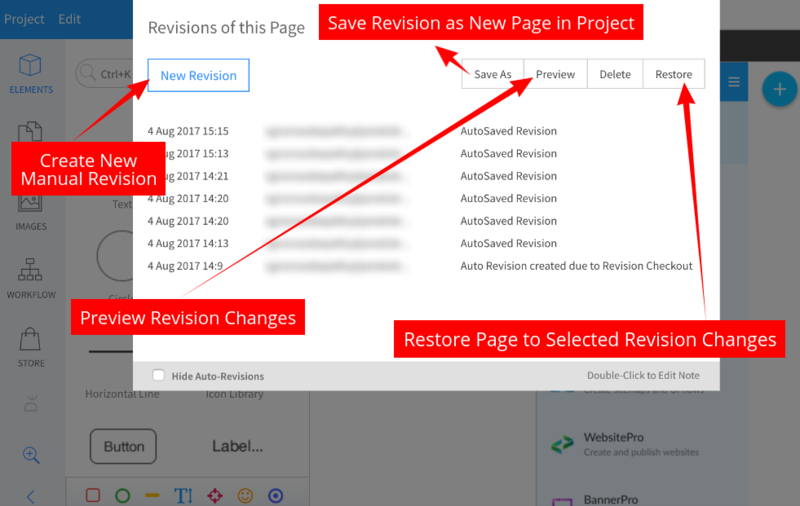 MockFlow has built-in revision history or version history feature for tracking and managing each page's changes in a project. 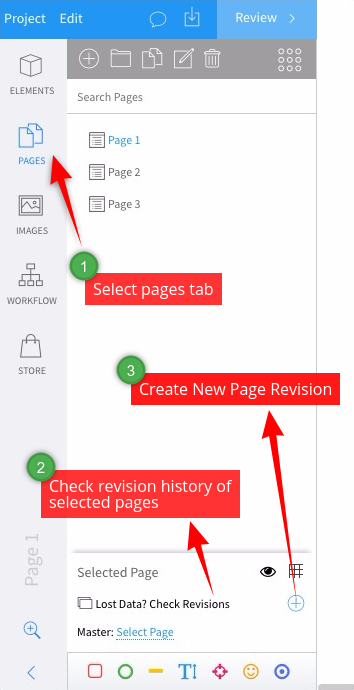 Revisions of a page are automatically created as the user makes updates to a page. In addition to this user can manually check-in "save points" of a page's changes. Revisions can be previewed and if required the page can be restored back to a particular revision.